It goes without saying that the amount you bring in each month is a huge factor towards how much house you can afford, so having a part-time job, being self employed or even being unemployed can adversely impact your application. Instead of leaving this factor up to chance, make sure you have a job that will more than cover your monthly payment or at least the savings in the bank to take the pressure off. The amount of your debt has an impact on the house you can afford, but debts whether from auto loans or credit cards; can still adversely impact the lender’s perception of your finances. Before buying a home, you may want to pay down some of your debt or hash out a monthly budget so you’ll have more certainty when it comes to application time. 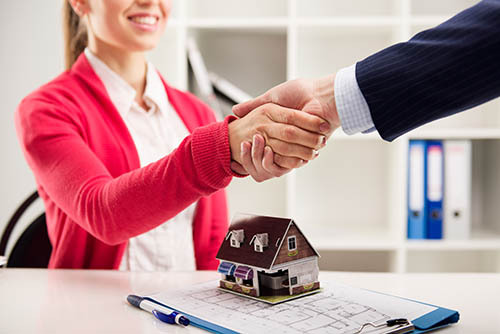 There are few things that will have a more marked impact on your mortgage approval than your credit history, so whether or not you have good credit will play into your application approval. While many people shy away from their credit report, ensure you look it over before submitting your application so you know what you’re dealing with and can correct any mistakes. You’ve probably heard that 20 is the magic percentage to put down, and while this number isn’t needed to buy a home, it can be the right number if you have high debt or a negative credit history. While you may want to buy right away, waiting and saving up may actually improve your odds of approval and save you money in the long run. There are many factors involved in the mortgage process and many of these things have the ability to slow down your application. But, by being aware of your credit and having a 20 percent down payment saved up, you may be able to speed up the process. If you’re close to submitting your mortgage application, contact your trusted mortgage professionals for more information.